Although many people believe that it is in their best interests to refuse a breath test when pulled over for drunk driving in New Jersey, the truth is that refusal is actually the worst thing they can do in this situation. 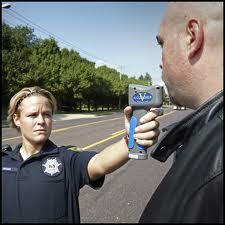 If you decline to take a breath test when requested, you are still subject to DWI / DUI charges. Beyond that, you will face additional charges for Refusal. In these cases, it is imperative that you have a skilled DWI defense attorney on your side. Our business is a New Jersey law firm that focuses on DWI defense. Our team of DWI attorneys includes experienced litigators, an attorney who is certified in the DWI Alcotest, and a former DWI prosecutor. We have defended clients against DWI charges, DUI charges, and Refusal charges in Bloomfield, Caldwell, and everywhere else in Essex County. Call the Tormey Law Firm today at 201-654-3464 to schedule a free consultation about your NJ Refusal charges. You can also visit the firm’s Successful DWI and Refusal Verdicts page to see a few of our positive drunk driving case outcomes. 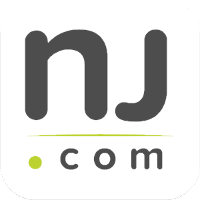 New Jersey’s implied consent law is set forth in N.J.S.A. 39:4-50.2. Simply by virtue of being licensed to operate a motor vehicle in New Jersey, you consent to breath testing to determine your blood alcohol concentration (BAC). Portable Breath Test (PBT): This test is carried in police patrol cars. You have the right to refuse to take this test because it is extremely unreliable. Alcotest 7110: This test is administered by a licensed operator at the police station. You are required by law to submit to this test when requested. N.J.S.A. 39:4-50.4a governs Refusal violations in New Jersey. As set forth by the statute, the main penalty for Refusal is loss of your driver’s license for between seven months and one year. The penalties are enhanced for repeat offenses: a second Refusal offense can net you driver’s license suspension lasting two years, while a third Refusal offense is punishable by a license suspension for 10 years. In addition to losing your license for a Refusal conviction, you will probably also face separate charges for Driving While Intoxicated (DWI). This is because you may be charged with impaired driving based solely on the police officer’s observations. Whether you are facing DWI charges or Refusal charges, you need to contact an experienced DWI defense lawyer immediately. The drunk driving defense team at our firm knows how to challenge the police officer’s probable cause to stop your vehicle in a Refusal case. Call us today at 201-654-3464, or fill out the online contact form to sit down with a member of our DWI litigation team and discuss your case at our Newark office.